A sand wedge is one of the most lofted club, with 56 to 58 degrees of loft. Every golf club has loft, the angle of the clubface as it is positioned on the shaft. The degree of the loft angle of the club is relative to the vertical plane rather than the ground. Golfers carry up to 14 clubs in their bag that range from the low-lofted driver to the high-lofted wedges. The more loft a club has, the higher the trajectory of the ball and the higher the number assigned to the club. The distance a ball will travel depends on the length of the shaft, the swing speed of the player and the degree of loft of the clubface. A driver has the longest shaft and the lowest loft. This combination can make the driver a more difficult club to hit accurately than other clubs. Typically, the driver comes in a loft of 9 degrees to 12 or 13 degrees. Beginning golfers and higher handicappers can stick with a driver with a higher loft, while more advanced players may be able to handle a loft of 9.5 degrees or less. The 3-wood and the 5-wood are carried by many golfers, and some golfers prefer a 7- or even a 9-wood because they tend to be more forgiving of mishits. The 3-wood typically has a loft angle from 15 to 18 degrees, the 5-wood has a loft from 20 to 22 degrees, and the 7- and 9-woods have a loft of at least 24 degrees. The lower-lofted woods also have longer shafts. Beginners and high-handicap golfers generally find that a higher-lofted wood is easier to handle because of the shorter shaft, although it will not provide the distance of a 3- or 5-wood. Golfers typically use irons when they are less than 200 yards from the green. The traditional iron set ranges from the low-lofted 3-iron to the higher-lofted 9-iron. As with fairway woods, the low-lofted irons provide greater distance. For shots close to the green, use wedges such as the pitching wedge, which has a loft of approximately 48 degrees. 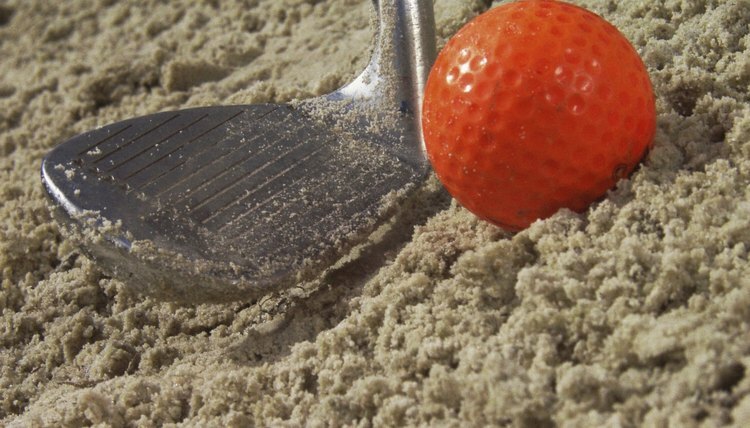 Other wedges with even greater loft are the sand wedge (for use in escaping sand traps), the gap wedge and the lob wedge. Hybrids, which combine the features of woods and irons, are popular with golfers of all skill levels, from beginners to professionals. A hybrid has a flat face and even weight distribution like an iron, and a wide sole like a fairway wood. Golfers are using hybrids to replace the lower-lofted irons such as the 3-, 4- and even 5-iron. Hybrids also can replace woods, because they tend to be easier to hit accurately. For men, a hybrid with an angle of 14 to 16 degrees can replace a 3-wood, and a 20- to 22-degree hybrid will replace the 7-wood or 4-iron. For women, the 24- to 26-degree hybrid will replace the 9-wood or 4-iron, and the 27- to 28-degree hybrid will replace the 5-iron. Over the years, some manufacturers have changed the loft assigned to their clubs. This is possible because there is no "official" loft for each type of club. So, the 8-iron of yesteryear can become the 9-iron of today. If you wonder why you used to hit an old 8-iron 120 yards and today you need only a 9-iron to achieve the same distance, compare the loft on each club. Which Golf Club to Use When?